Last name is pronounced GRAD-er-all...the 2019 season will be his 14th in professional baseball...in September 2005 was signed by Royals scout Juan Indriago as an undrafted 17-year-old...is his second stint in the Reds' organization...in November 2016 was claimed off waivers by the Reds from the Angels, but a month later was claimed off waivers by the Diamondbacks...between the 2016 and 2017 seasons was claimed off waivers by the Reds, Diamondbacks, Blue Jays and Angels (twice)...was Texas League Player of the Week for 8/5-8/11, 2014. Made 4 apps for the Angels and Twins and 58 apps for their Class AAA affiliates...on 6/24 was released by the Angels...3 days later was signed by the Twins to a minor league contract...on 10/10 was claimed off waivers by the Reds...on 11/30 became a free agent when he was non-tendered, but that same day was re-signed by the Reds to a minor league contract with an invitation to 2019 Major League spring training camp...following the season played for Leones del Caracas in the Venezuela Winter League (33g, .291, 1 2b, 1hr, 11rbi). After being acquired from the Blue Jays Apr. 18, remained with the Angels for the rest of the season...Bested rookie numbers in nearly ever category including games (48), runs (5), hits (17), doubles (4) and RBI (10) ... Caught 10 of 30 (33%) base stealers ... Appeared in four games with Triple-A Buffalo prior to trade to the Angels ... Prior to the season, was selected off waivers by the Cincinnati Reds, Arizona Diamondbacks, Toronto Blue Jays and the Angels twice. After 11 seasons in the minors made his Major League debut on Sept. 2 at SEA...Entered the game as a defensive replacement in the 8th inning ...in the ninth, in his first career plate appearance produced an RBI-double off Arquimedes Caminero... Was on LAA's roster from July 18-22 but did not play...Was promoted again on Sept. 2 and spent the rest of the season with the Angels...On Sept. 14 vs SEA produced his only 2-hit game...Was a non-roster invitee to LAA's Major League spring training camp...On Nov. 22 was designated for assignment...On Nov. 28 was claimed off waivers by the Reds...Played for Aragua in the Venezuelan Winter League (22 games). Juan spent his eighth season in the Royals' organization with Northwest Arkansas (AA)...Appeared in 56 games, splitting the catching duties with two other players...hit .326 (31-for-95) after the All-Star break, including .395 (17-for-43) in July...threw out 30 percent (20-for-67) of would-be base stealers. Limited to 61 games in 2012 after two separate stints on the disabled list...hit .301 (59-for-196), including .400 (20-for-50) in July and .378 (14-for-37) in June...slugged two home runs in 2012 after hitting just one in his first six years in the minor leagues. Blasted first career home run on June 2, 2011 for Wilmington (A-Advanced) at Kinston, after going 636 professional at bats before his first round tripper...Threw out 36 percent of would-be base stealers (25-of-69) between Wilmington and Kane County (A) in 2011... pitched 1.0 innings of relief on August 26, 2011 for Kane County, allowing a run on two hits. Hit .310 over the final two months of the season (27-for-87) at Burlington (A) in 2009, second-best on the club among players with 80 at bats or more. In his first professional season (2006), ranked second among Dominican Summer League catchers with a .386 on-base percentage, while his .296 average (45-for-152), ranked sixth. April 15, 2019 Louisville Bats activated C Juan Graterol from the 7-day injured list. April 9, 2019 Louisville Bats placed C Juan Graterol on the 7-day injured list. December 1, 2018 Cincinnati Reds signed free agent C Juan Graterol to a minor league contract and invited him to spring training. December 1, 2018 C Juan Graterol assigned to Louisville Bats. November 30, 2018 C Juan Graterol elected free agency. October 23, 2018 C Juan Graterol assigned to Leones del Caracas. October 10, 2018 Cincinnati Reds claimed C Juan Graterol off waivers from Minnesota Twins. September 22, 2018 Minnesota Twins selected the contract of C Juan Graterol from Rochester Red Wings. August 3, 2018 Rochester Red Wings activated C Juan Graterol from the 7-day disabled list. July 27, 2018 Rochester Red Wings placed C Juan Graterol on the 7-day disabled list. Right wrist contusion. June 28, 2018 Minnesota Twins signed free agent C Juan Graterol to a minor league contract. June 28, 2018 C Juan Graterol assigned to Rochester Red Wings. June 24, 2018 Los Angeles Angels released C Juan Graterol. June 19, 2018 Los Angeles Angels designated C Juan Graterol for assignment. June 6, 2018 Salt Lake Bees placed C Juan Graterol on the 7-day disabled list. Concussion. May 25, 2018 Salt Lake Bees activated C Juan Graterol from the 7-day disabled list. May 19, 2018 Salt Lake Bees placed C Juan Graterol on the 7-day disabled list retroactive to May 18, 2018. May 8, 2018 Los Angeles Angels optioned C Juan Graterol to Salt Lake Bees. May 4, 2018 Los Angeles Angels selected the contract of Juan Graterol from Salt Lake Bees. April 7, 2018 Los Angeles Angels sent C Juan Graterol outright to Salt Lake Bees. April 4, 2018 Los Angeles Angels designated C Juan Graterol for assignment. March 23, 2018 Los Angeles Angels optioned C Juan Graterol to Salt Lake Bees. April 19, 2017 Juan Graterol roster status changed by Los Angeles Angels. April 18, 2017 Toronto Blue Jays traded C Juan Graterol to Los Angeles Angels. April 14, 2017 Toronto Blue Jays designated C Juan Graterol for assignment. March 30, 2017 Toronto Blue Jays optioned C Juan Graterol to Buffalo Bisons. January 23, 2017 Toronto Blue Jays claimed Juan Graterol off waivers from Los Angeles Angels. January 19, 2017 Los Angeles Angels claimed C Juan Graterol off waivers from Arizona Diamondbacks. 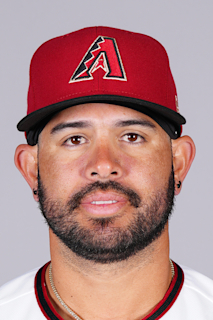 January 13, 2017 Arizona Diamondbacks designated C Juan Graterol for assignment. December 23, 2016 Arizona Diamondbacks claimed C Juan Graterol off waivers from Cincinnati Reds. November 28, 2016 Cincinnati Reds claimed C Juan Graterol off waivers from Los Angeles Angels. November 22, 2016 Los Angeles Angels designated C Juan Graterol for assignment. October 20, 2016 C Juan Graterol assigned to Tigres de Aragua. October 4, 2016 C Juan Graterol assigned to Aguilas del Zulia. September 2, 2016 Los Angeles Angels recalled C Juan Graterol from Salt Lake Bees. July 23, 2016 Los Angeles Angels optioned C Juan Graterol to Salt Lake Bees. July 18, 2016 Los Angeles Angels selected the contract of Juan Graterol from Salt Lake Bees. January 20, 2016 C Juan Graterol assigned to Salt Lake Bees. January 12, 2016 Los Angeles Angels signed free agent C Juan Graterol to a minor league contract and invited him to spring training. November 6, 2015 C Juan Graterol elected free agency. September 27, 2015 C Juan Graterol assigned to Aguilas del Zulia. August 27, 2015 C Juan Graterol assigned to Scranton/Wilkes-Barre RailRiders from Trenton Thunder. August 23, 2015 Trenton Thunder placed C Juan Graterol on the temporarily inactive list. August 18, 2015 Trenton Thunder activated C Juan Graterol from the 7-day disabled list. August 4, 2015 Trenton Thunder placed C Juan Graterol on the 7-day disabled list. July 26, 2015 C Juan Graterol assigned to Trenton Thunder from Scranton/Wilkes-Barre RailRiders. June 13, 2015 C Juan Graterol assigned to Scranton/Wilkes-Barre RailRiders from Charleston RiverDogs. June 9, 2015 C Juan Graterol assigned to Charleston RiverDogs from Scranton/Wilkes-Barre RailRiders. April 9, 2015 Scranton/Wilkes-Barre RailRiders placed C Juan Graterol on the 7-day disabled list. December 19, 2014 C Juan Graterol assigned to Scranton/Wilkes-Barre RailRiders. December 10, 2014 New York Yankees signed free agent C Juan Graterol to a minor league contract and invited him to spring training. October 9, 2014 C Juan Graterol assigned to Tiburones de La Guaira. August 6, 2014 C Juan Graterol assigned to Northwest Arkansas Naturals from Omaha Storm Chasers. July 11, 2014 C Juan Graterol assigned to Omaha Storm Chasers from Northwest Arkansas Naturals. January 9, 2014 Kansas City Royals invited non-roster C Juan Graterol to spring training. October 13, 2013 C Juan Graterol assigned to Tiburones de La Guaira. June 10, 2013 C Juan Graterol assigned to Northwest Arkansas Naturals from Wilmington Blue Rocks. June 7, 2013 Juan Graterol assigned to Wilmington Blue Rocks from Northwest Arkansas Naturals. March 29, 2013 Juan Graterol assigned to Northwest Arkansas Naturals from Wilmington Blue Rocks. March 20, 2013 C Juan Graterol assigned to Kansas City Royals. June 8, 2012 Wilmington Blue Rocks placed C Juan Graterol on the 7-day disabled list. Left elbow sprain and knee contusion. August 25, 2011 Kane County Cougars activated C Juan Graterol from the 7-day disabled list. June 7, 2011 C Juan Graterol assigned to Kane County Cougars from Wilmington Blue Rocks. May 2, 2011 Juan Graterol roster status changed by Wilmington Blue Rocks. April 16, 2011 Wilmington Blue Rocks placed C Juan Graterol on the 7-day disabled list. Sprained right ankle. April 4, 2011 C Juan Graterol assigned to Wilmington Blue Rocks from Kane County Cougars. March 29, 2011 1B Juan Graterol assigned to Kansas City Royals. June 27, 2010 Juan Graterol roster status changed by Burlington Bees. May 1, 2010 1B Juan Graterol assigned to Burlington Bees from Burlington Royals. April 26, 2010 Juan Graterol assigned to Burlington Royals from Wilmington Blue Rocks. April 17, 2010 Juan Graterol assigned to Wilmington Blue Rocks from Burlington Bees. April 5, 2010 Juan Graterol roster status changed by Burlington Bees. July 7, 2009 C Juan Graterol assigned to Burlington Bees from Idaho Falls Chukars. September 6, 2005 Minnesota Twins signed free agent C Juan Graterol to a minor league contract.